The best gift to endow someone is to thank them with a token of love and care. What, other than flower can be the gift to glad them. 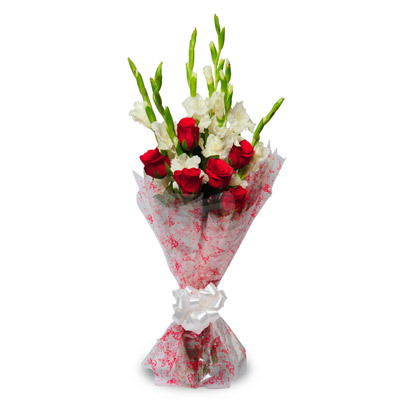 This special and exotic bouquet of 6 white glades and 6 red roses amazingly wrapped make for a memorable gift for your loved ones. I sent the gift for my friend on her birthday and I must say it was value for money .She was delighted to receive the same.